Skincare Solutions Store: Image Vital C Cleanser – Try It In the Sample Size and Save! Image Vital C Cleanser – Try It In the Sample Size and Save! Image Vital C Cleanser can cleanse, repair and moisturize damaged skin. This professional, high quality skin care cleanser removes environmental impurities caused from traveling, smoking, stress and sun. It contains the following three Vitamins: Vitamin C, A and E, all of which are important for repairing dry damaged skin. Since the beginning of time, women (and men) have suffered from dry, damaged skin caused by harsh ultra-violet rays of the sun. Image Vital C Facial Cleanser washes urban impurities such as smog, smoke and dirt away. Professionals work hard to improve skin tone by using a rich blend of natural botanical products such as green tea and Vitamins C, A and E.
Safe to use morning and night, every day of the week, Image Skin Care Facial Cleansing products renew the skin, offering nourishment that leaves it feeling soft and silky. Its physician-grade ingredients leave a natural glow that look and feel healthy. Image Vital C Cleanser removes make-up from particularly sensitive areas around the eyes, leaving skin feeling renewed, not puffy. It removes caked-on foundation make-up easily, with little or no scrubbing. Its gentle, creamy hydrating formula includes antioxidants and natural green tea's anti-inflammatory formula that work together to revitalize tired, dry skin. It also improves the overall quality of sensitive skin. For those who have eczema, rosacea, and other dermatological skin conditions, Image Vital C Facial Cleanser offers the added effects of a special hydrating formula that the skin needs. Customers who have sensitive skin find that they have seen overall improvements in the condition of their skin. They also find Image Skin Care products to be affordable and effective. 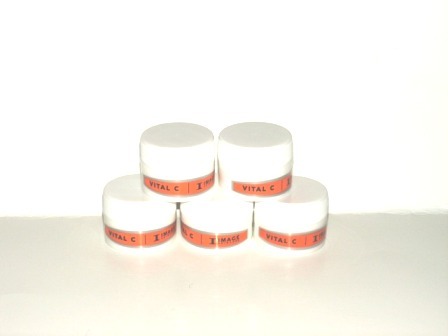 For post-operative facial surgery skin care, use Image Vital C Facial Cleanser. Image Skin Care facial care products are affordable and environmentally safe. As a natural skin care product, they do not contain harsh chemicals that are found in many skin care products on the market today. Image Vital C Cleanser offers the benefits of dermatological skin care. As a natural skin cleanser, antioxidants halt the cycle of free radicals. Vitamins A, C and E and green tea work together to produce glowing, healthy skin. It removes the skin's impurities while repairing, moisturizing and renewing skin cells that have been damaged by the sun, by smoking, by facial surgery, and by environmentally unsafe chemicals. Image Skincare products work to renew tired, damaged skin. Their wide range of skincare products are designed to revitalize tired skin, giving it back the natural healthy glow it deserves. There are multiple benefits to trying this product in the sample size that is offered; they are a great value, compared to the usual consumer size that is offered, the sample size is great to have for travel or overnight, the smaller size guarantees freshness and they give you the opportunity to generously share your new skincare secret with your BFF’s!